The Elder Creek Project is a porphyry copper-gold project with secondary structural gold-silver mineralization. Timberline explores the property as the operator of an earn-in Joint Venture (JV) agreement with a subsidiary of McEwen Mining. 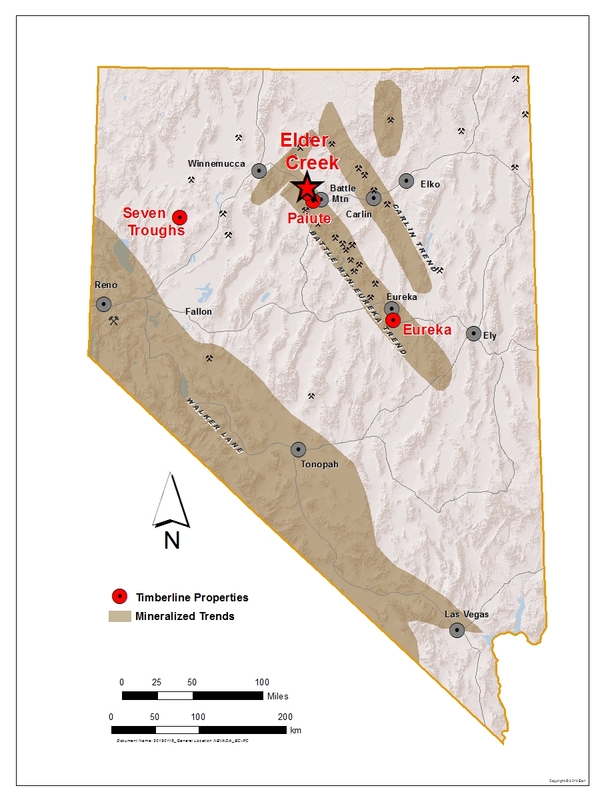 A detailed NI43-101 Technical Report on the Elder Creek Copper-Gold Project, Humboldt and Lander Counties, Nevada, is available on SEDAR and under the reports tab. 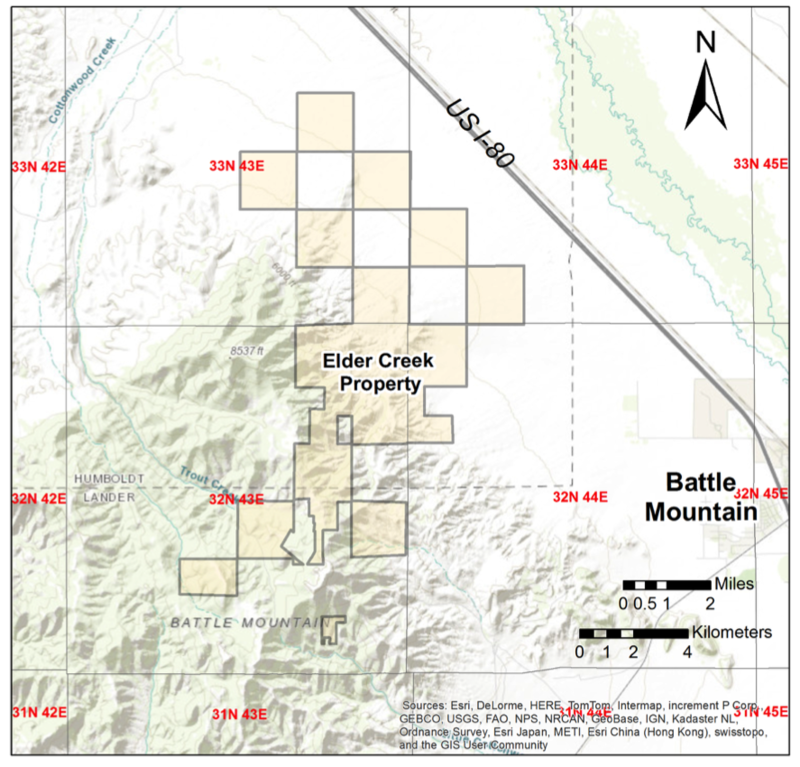 Elder Creek is a porphyry copper-gold-molybdenum-silver exploration property located in northern Nevada, 8 miles west-northwest of Battle Mountain near the northern end of the Battle Mountain-Eureka Trend, one of Nevada’s prolific mineral belts. The project lies in the Battle Mountain mining district and covers approximately 9,600 acres which includes 583 unpatented lode mining claims. Timberline controls the Elder Creek property through a Joint Venture (JV Agreement) with a subsidiary of McEwen Mining. The underlying Elder Creek JV with McEwen grants Timberline, as operator of the project, terms of earn-in to acquire a 51% ownership for $2.6 M expenditure over 4 years by December 31, 2021, and a 65% ownership for an additional $2.5M expenditure for a total commitment of $5.1M over 6 years by December 31, 2023. There are no underlying royalties on the property. Infrastructure is excellent at the project site with interstate highway and railroad immediately adjacent to the property, and high voltage power crossing the property.